Airbus is looking at developing an even larger version of its new A350 airliner than the stretched version that it aims to have in service in 2017, officials at the European aircraft manufacturer said last week. Airbus would be responding to strong demand from airlines for fuel-efficient, twin-engine, wide-body planes as they try to maximize their revenue yield by carrying more passengers on single flights, hence growing orders for Boeing's new 787 jetliner and the Airbus A350. Developing a longer model than the 350-seat A350-1000 that Airbus is planning to bring into service in 2017 is possible, Didier Evrard, head of the A350 program, told journalists. "It's in a pre-concept phase," Mr. Evrard said. "We can certainly do it; it's a question of market, of priorities, and we will continue to listen to our customers about what's best for them." Upgrading the A350 with a higher-capacity model could put further pressure on U.S. rival Boeing, which is expected to announce a decision to go ahead with an extended version of its 777-700ER in the coming weeks. The Boeing will be a response to Airbus's decision in 2011 to develop an upgraded version of the A350-1000, said Sophie Pendaries, head of product marketing at Airbus. Airbus "isn't in a hurry" to develop more versions of the plane as it has 756 A350s in its order backlog for a plane that is undergoing flight testing before Airbus starts deliveries to customers next year, Mr. Evrard said. MSN5 flight-test prototype will be the first A350 with Ni-cadmium batteries. 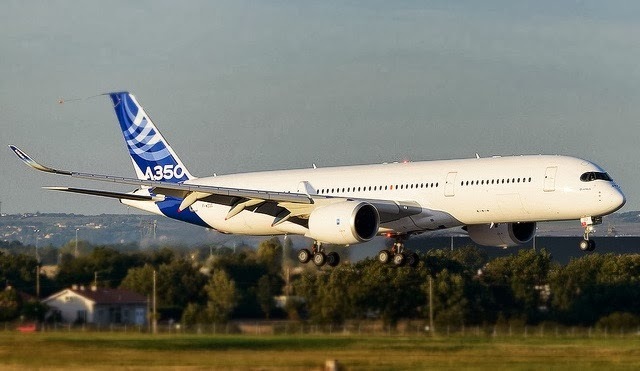 Last Feb/2013, Airbus announced that they were switching back to nickel-cadmium batteries for the A350 XWB as a risk-reduction strategy, but insisted the change will not affect EIS-entry into service dates. Initial flight tests are being performed with lithium-ion batteries, because it was already too late in February to implement the change for the early part of the flight test program. 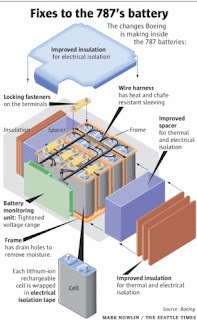 However, the A350 will later be certified with Nickel-Cadmium batteries. MSN1,MSN3, MSN2 and MSN4 flight-test aircraft are being equipped with lithium-ion batteries but the last flight-prototype, MSN5 will be equipped with nickel-cadmium batteries, used to complete the certification program needed for series aircraft, the first of which is due to be delivered to Qatar in the second half of 2014. It was planned to equip with nickel-cadmium batteries the first 3 batches until MSN20 but it could be that the Ni-Cad batteries will be installed from MSN6, based on the news in La Tribune. The series aircraft where the Ni-Cad batteries manufactured by Saft are installed will require specific electrical architecture changes. Reverting to less volatile Nickel-Cadmium would mean sacrificing improvements in weight in the lighter Lithium-Ion batteries, equivalent to one adult male passenger out of between 270 and 350 passengers and cargo on board. “The penalty in weight compared with the risks associated with Li-Ion is minimal,” said Nick Cunningham, an aerospace analyst at Agency Partners in London. Airbus – like Boeing – is using lithium-ion batteries because they are smaller and lighter than equivalent devices based on nickel cadmium. Bombardier is using Nickel-Cadmium batteries for the Cseries. Airbus said the concerns did not necessarily center around the technology as such, but were caused mainly by the regulatory uncertainty following the 2 Boeing 787 incidents. Airbus was worried about late additional compliance criteria that could have been introduced by the European Aviation Safety Agency (EASA). The company plans to mature the technology further nonetheless. “We didn’t seek initial certification for the A350 with lithium because we didn’t want to take any risk of delay,” Evrard said in Toulouse. “But we think our lithium power design is sufficiently different” from its rival’s system, he said. The airline interest has moved to the larger sizes and Boeing & Airbus are listening to their customers. 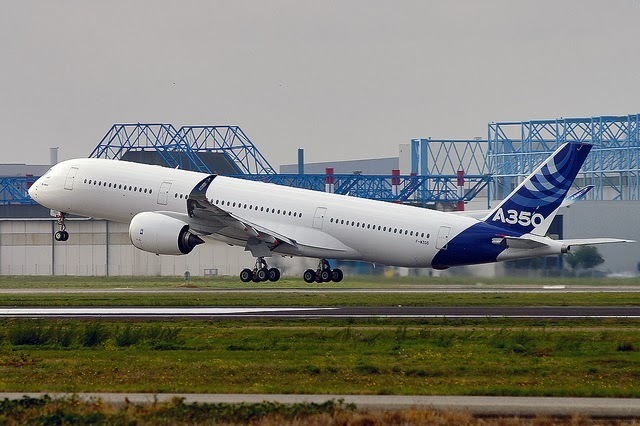 Airbus delivered an A350XWB program update last week in Toulouse. Clearly the company is feeling ever more confident in the program. Airbus provided interesting data on the backlogs through October 8th. Concerning the single aisles, notice how the market has swung from the current generation of single aisles to the new generation. 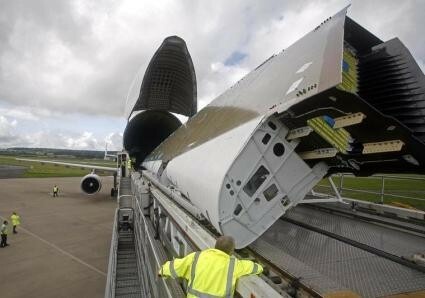 Clearly Airbus has benefited from the first mover advantage. Regarding the widebody category, Boeing benefited even more; the 787 is thrashing the A330 in backlog. The A350 has done remarkably well against the 777, but expect these numbers to change after the upcoming Dubai show, where the 777x is expected to pick up at least 150 orders. 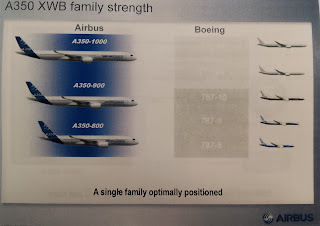 Airbus shows how they see their product lining up against Boeing’s. The A330 is compared to the 787 and the A350 to the 777. But it’s more subtle than that. Airbus makes the case that airline interest has moved to the larger sizes – over 300-seaters are now far more attractive to airlines. 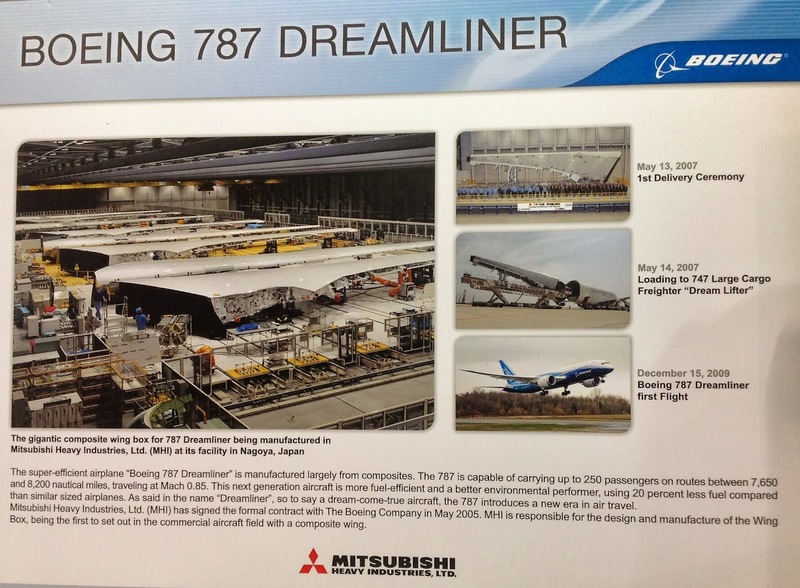 The facts seem to support his because Boeing is moving up the 787 and the 777 in size. The A330-300 is now getting more interest than the A330-200. Similarly, Boeing is seeing more interest in the 787-9 than the 787-8. Airbus says the 250-seat market has seen a backlog shrink by 402 while the 300-seat market is up 662. Airbus explains that in developing the A350, they had lots of conversations with customers. Which is what Boeing said about the 777. Airbus has also seen growing acceptance of the A350 because of customer input. As in every business, listening to the customer is the smart thing to do. Airbus notes its A350-1000 customers believe that this aircraft can replace the 777-300ER while being 40 tonnes lighter (savings of 20t in fuel and 20t in structure) on a 6,500 mile mission with 350 passengers. But Airbus then went to explain the nuance of seat count differences even though the A350-1000 and 777-300ER are the same size. The 777-300ER has five doors to the four on the A350-1000. At a standard nine-abreast seating the A350-1000 can fit a few more seats. 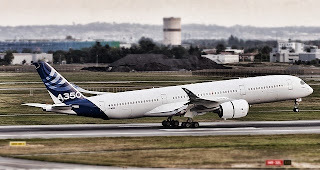 As a reaction to market acceptance of the A350-1000, Airbus believes Boeing had to stretch the 777 to the -9x variant. 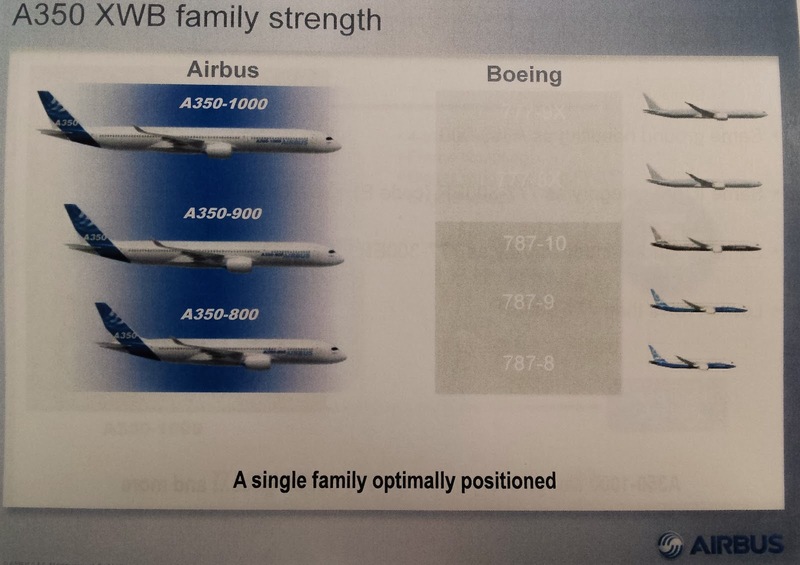 Airbus estimates the -9x will be 35t heavier than the A350-1000. 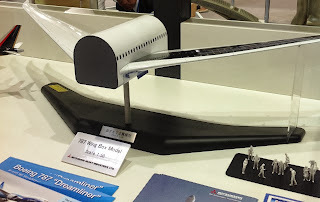 Then Airbus made a very interesting calculation – they don’t think Boeing will increase the -9x MTOW over what the -300ER has now (351t). 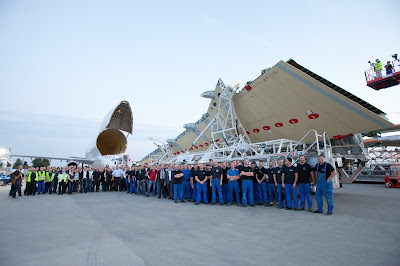 Therefore, given the higher weight of the -9x, Airbus thinks the -9x payload will be reduced. 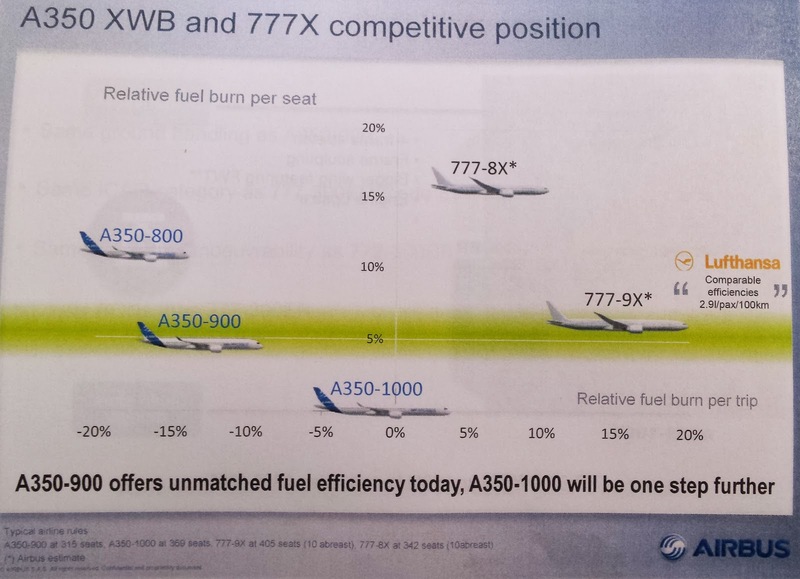 Even if the -9x has 35 more seats (10 abreast) Airbus thinks its fuel burn will still be 15% higher than the A350-1000 on a per trip basis. 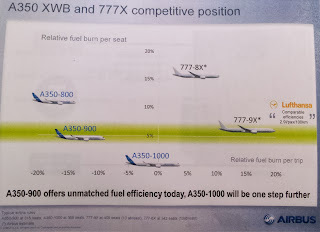 Crucially, Airbus notes the per seat fuel burn on the -9x will be the same as the A350-900, but it will only be available after 2020 whereas the A350-900 will offer this in 2014. 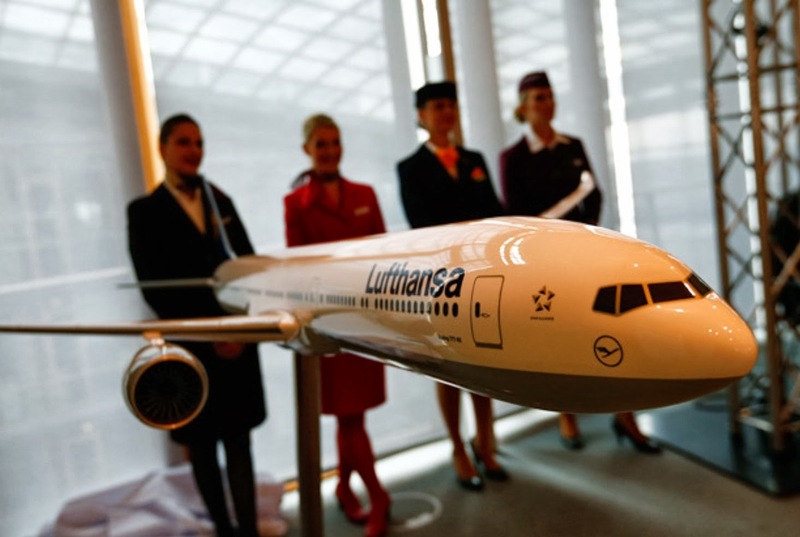 Lufthansa believes both aircraft will be at 2.9liters/passenger/100km. 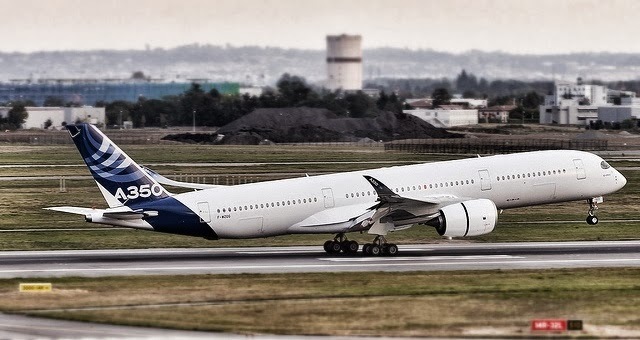 Aeroflot reduces the number of A350-800 ordered from 18 to 8 and delays the deliveries. The carrier did not comment on the move, but industry experts say there are two possible reasons for the delay. 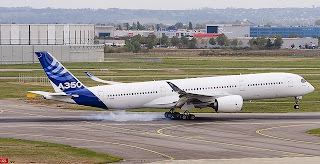 One is that Aeroflot has converted part of its A350-800 order into -900s. The company said it will now get 8 -800s and 14 -900s, though earlier the order was split into 18 -800s and 4 -900s. The second possible reason is the carrier’s order for 16 Boeing 777s, which experts believe could cause overcapacity in the widebody segment of the Russian market. Deliveries started at the beginning of the year. 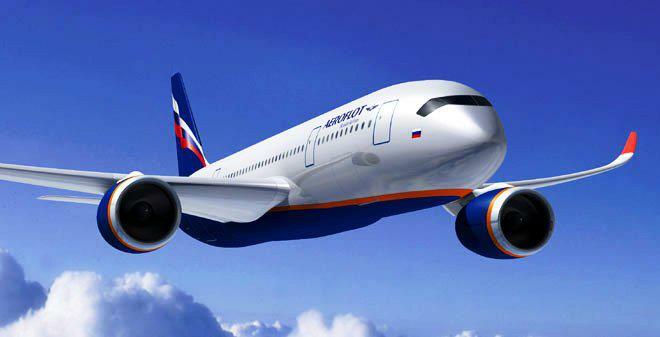 Aeroflot shareholders approved the change to the makeup of its order for 22 A350s. 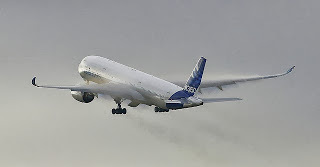 As part of the original deal signed in summer 2007, the airline planned to take 18 A350-800s and four A350-900s. Now Aeroflot wants to have more of the larger -900s, bringing their number to 14 while the -800 order is reduced from 18 to eight. According to an Aeroflot report, the deal is valued at $3.1 million, not counting custom duties. The aircraft are expected to begin entering the airline's fleet in 2018, but the order conversion extends the delivery period to 2023. If deliveries are delayed, Airbus will grant a $25 million discount for another Aeroflot order for five Airbus A321-200s, according to the airline's report. Leasing agent GTLK took the $291.5 million order on behalf of the airline, and will lease the -200s to Aeroflot for 12 years. The carrier already has two of the CFM56-5B3/3-powered A321s in operation; the others are expected to be delivered by the end of the year. Aeroflot fleet includes 22 Airbus A330s, 23 A321s, 51 A320s and 15 A319s; four Boeing 777s, five 767s and one 737; six Ilyushin Il-96s; and 10 Sukhoi Superjet 100s. Airbus COO Butschek: “German government has no reason to withhold the payment of 600 million euro –of 1.1 billion loan- after Airbus has assigned 4000 jobs to Germany in the A350 XWB program”. It will be one of the first decision after coalition formed. 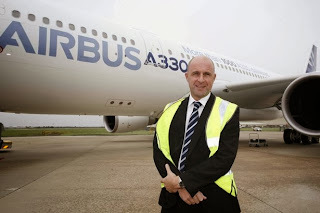 Airbus COO Günter Butschek said in an interview at Tagesspiegel newspaper that Germany should pay the remaining 600 million euros of a disputed development loan for Airbus's A350 XWB, now Airbus has allocated work to German employees. The German government had demanded that Airbus guarantee a certain amount of the work on the A350 plane would be done in Germany as a condition for paying out the remaining part of the loan. Chief Operating Officer Günter Butschek said in the interview at Tagesspiegel that Airbus had now assigned 4.000 of the A350 jobs to Germany, 250% more than targeted, while the German proportion of research&development is far beyond the 1/3 promised. "We have therefore far exceeded our promises and believe there is now no reason to withhold the remaining payment," Herr Butschek said. "The ball is now in the government's court". 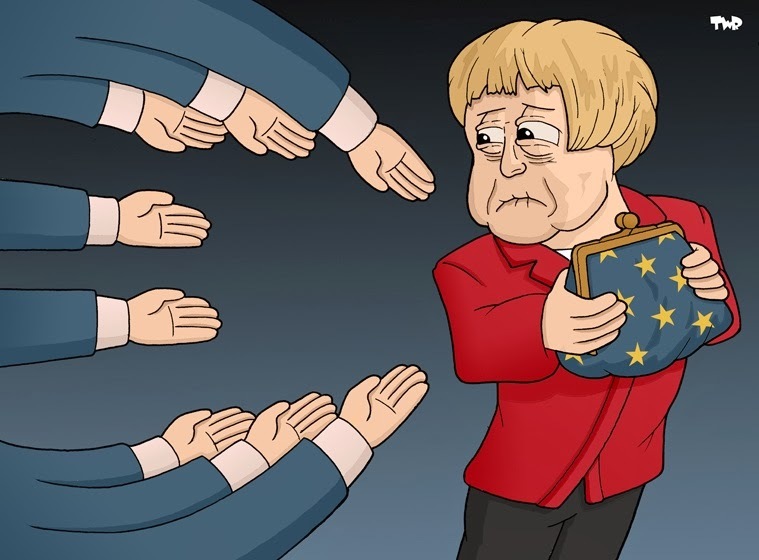 Any payout will have to wait for Chancellor Angela Merkel's conservatives to conclude coalition talks after her party won September's federal election but failed to gain enough votes for a majority. 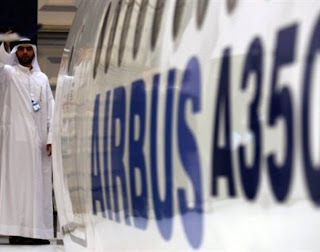 "The conditions for the payment of the loan to Airbus can only be determined by the future government," a spokeswoman for the federal ministry of economics said. "The ministry does not want to bind the future government to any decisions made on this matter at the present time." ILFC and SriLankan Airlines sign 12-year lease agreement for 3 A350-900s to be delivered by mid-2016. Additional 4 aircraft purchased directly to Airbus will enter into service later. 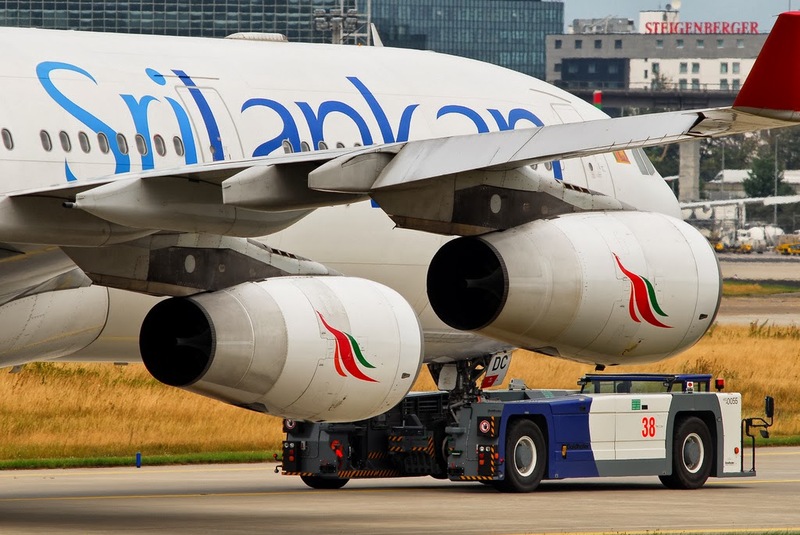 SriLankan Airlines and International Lease Finance Corporation (ILFC) signed (07-Oct-2013) a 12-year lease agreement for three A350-900 aircraft. The aircraft will support the airline's long-haul fleet renewal. 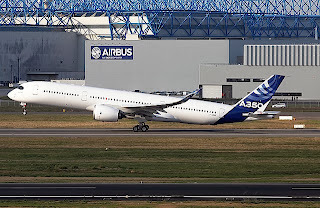 The A350-900s are powered by Rolls-Royce Trent XWB-84 and are part of an operating lease agreement, which has an anticipated delivery timeline between Jul-2016 and Sep-2016. ILFC currently has two A330-200s and one A340-300 on lease with SriLankan. SriLankan CEO Kapila Chandrasena said, "This would be the first time the A350 family aircraft will enter our fleet, and it marks a significant step towards the growth of the airline. SriLankan has placed direct orders for 4 additional A350-900 aircraft with Airbus, and we believe that this new generation, fuel-efficient aircraft will play a leading role in the airline's long-haul operations in time to come. We are indeed pleased that ILFC will be providing us with the first 3 aircraft, and look forward to building on the strong ties we have established with ILFC." Tom Enders EADS CEO: A350 was trailing the 787 taking time for lessons learned. EADS CEO Tom Enders spoke at Australia’s National Aviation Press Club: “We are on track to deliver the first aircraft at the end of 2014. 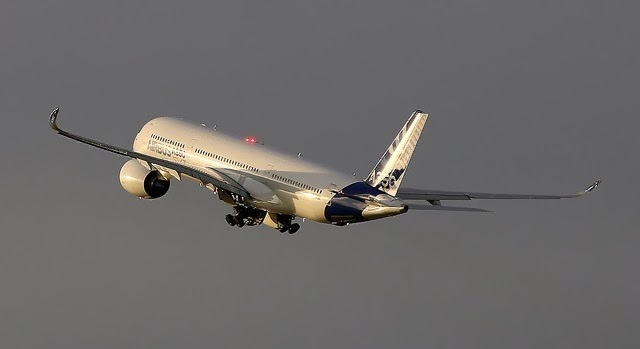 It’s going to be a great aircraft.” He went on to say “The 350 is a bit behind the 787 in terms of schedule,” and noted that 750 A350s have been sold. “I was quite pleased that we were trailing the 787 because by taking our time we could learn some of the lessons from that project,” he said. Airbus, like all OEMs, has had its share of program delays. But the A350 seems to be doing well in its testing. While the program ran into some delay earlier, Airbus appears to have worked through the big issues and testing is going well. It is being an impressive management of the A350 program. Whereas Boeing got its 787 program started earlier, much of that program’s timing advantage was lost due to delays and technical hitches. Then came 747-8 program glitches, and Boeing was caught off guard with the success of the neo. These events in turn meant the 777X program slowed down as engineers were moved to fixing 787 and 747-8 issues. 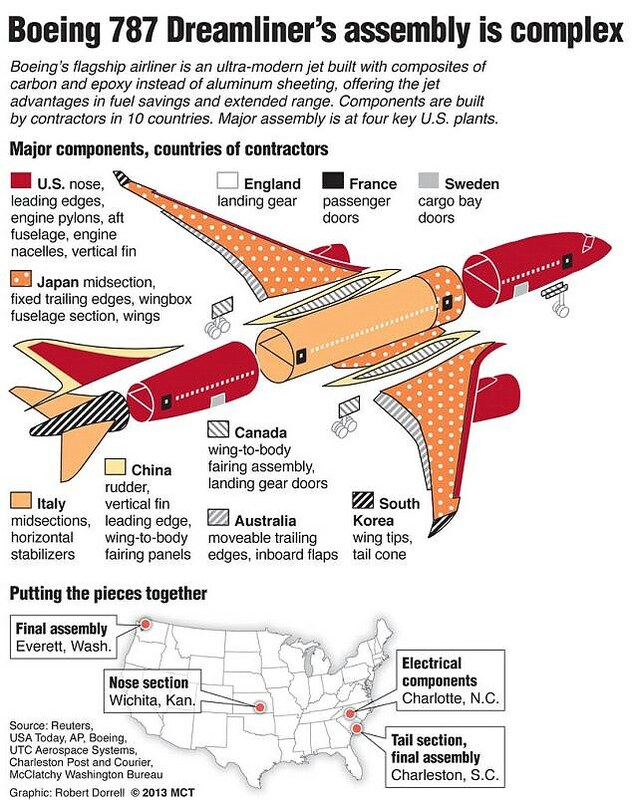 Boeing has a lot on its plate, when one considers it is also developing the MAX. Which, of course, meant Airbus benefited. Airbus was at the back end of painful lessons from the A400M and A380. Airbus therefore was able to deploy lessons from its own program upsets to ensure the A350 went much more smoothly. Boeing’s 777X program is now in catch up mode, it will be 2019 or 2020 before the first airplane is delivered. That will be up to six years after the A350. Virgin Australia and Qantas are the main airlines which could commit on an order for A350 XWB, with no sells in Australia as of today. The strongest prospect for an A350 order in Australia would be from Virgin Australia, which has been officially open to considering an order for the Airbus or from Boeing’s competing 787 range even before Boeing began to make serious references to going ahead in the near future with its 777-X program, which is widely tipped to be officially launched next month. 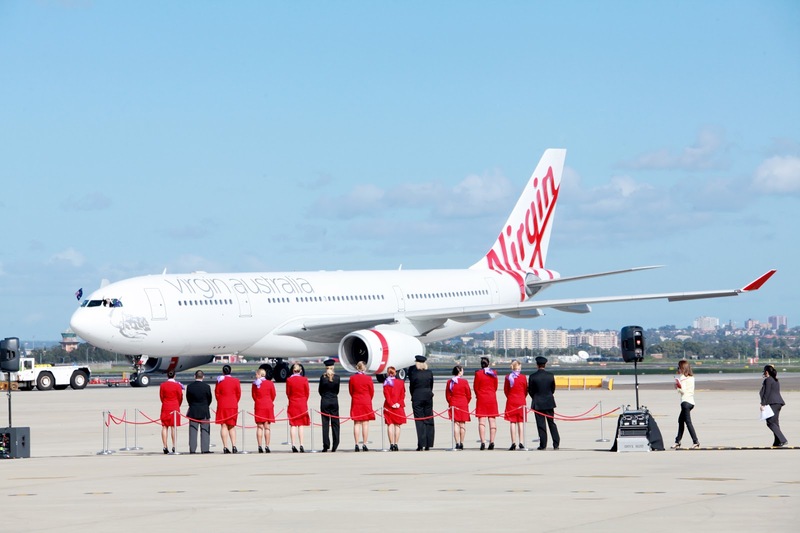 The issue that strikes the casual observer of Virgin Australia as ‘obvious’ is that of finance for any new fleet decisions. However, depending on how the various major partners in Virgin Australia Holdings sort out their potentially overlapping ambitions for the carrier, a solution might be for such a partner to ‘invest’ some of its Airbus or Boeing orders in the growth of Virgin Australia. 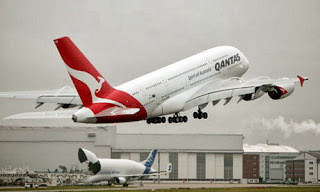 On the other hand, Qantas is considering the Airbus A350 and Boeing 777X as potential replacements for its ageing fleet of Boeing 747 jumbo jets. In a presentation held in Seattle some weeks ago, ahead of today's delivery flight of Jetstar's first Boeing 787, Qantas Group CEO Alan Joyce flagged what he called "the next big decisions" on the airline's fleet. Qantas would seem to be a less likely prospect for the A350 series given its dual commitments to a ‘simplified’ fleet with fewer types, and its access to 787 Dreamliner options, between 2017 and 2020. It seems that you could get reasonable odds on Airbus ramping up production rates on the A350 in the near future, and that would change the outlook for sales in Australia in a very positive way. Based on the article “Qantas mulls Airbus A350, Boeing 777X to replace Boeing 747s” published in Australian Business Traveller. Not all Gulf airlines want the same: Etihad Airways prefers not being a launch customer for new aircraft type and will wait until 2017 to receive their first A350-900. Etihad Airways chooses not to be a launch partner for new commercial aircraft, preferring to wait until any potential problems have been resolved. And this cautious move has paid dividends this year as Etihad escaped 787 and A380 problems. 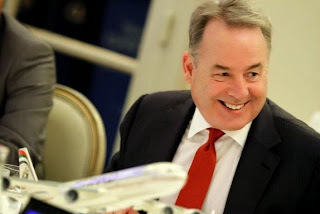 James Hogan, president and CEO of Etihad, revealed the Abu Dhabi carrier makes a conscious decision not to be a launch customer, a claim usually viewed as a proud moment. The cautious decision is typical of how Etihad has grown its business, and flies in the face of the approaches taken by Gulf rival carriers Emirates and Qatar Airways. Dubai-based Emirates is highly expected to be announced as a launch partner for Boeing’s new 777X fleet later this year and was one of the first airlines to begin using the Airbus A380. Likewise Qatar Airways will be the first customer to receive Airbus’ new A350. Etihad will have been congratulating themselves for their wary approach in January this year however, as all Boeing 787 Dreamliners were grounded, including Qatar’s fleet of 5. Instead, Hogan confirmed Etihad will take 41 787-9 Dreamliners from the start of next year, the Airbus A380 – which has also suffered minor issues since its launch – late in 2014 and the A350 from 2017. Qatar Airways; Boeing doesn´t want to face a similar problem of confidence it has had with JAL in Japan. Boeing shares a healthy and “strong” relationship with fast-growing Qatar Airways, despite all the problems faced by its beleaguered Dreamliner aircraft, a senior Boeing executive has said. 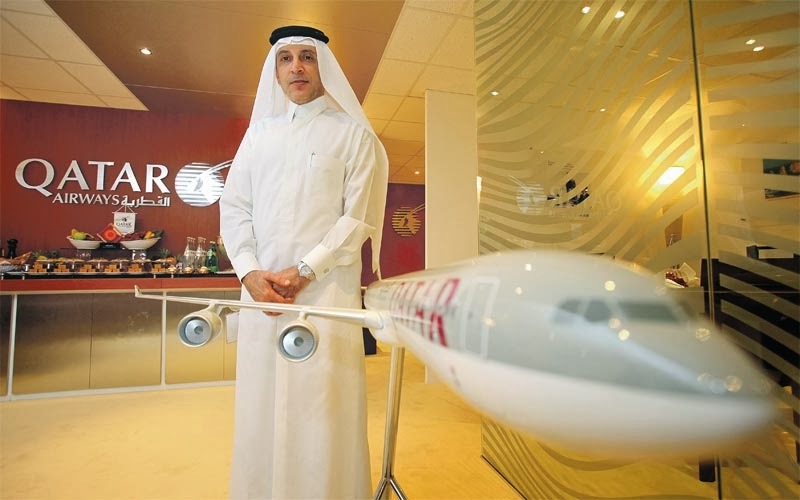 “He [Akbar Al Baker, Qatar Airways’ CEO] has been amazingly supportive [about Dreamliner’s problems] and I appreciate that, Boeing appreciates that,” said Marty Bentrott, vice president of sales at Boeing Commercial. “The relationship is very strong; it’s kind of like a marriage. Sometimes things are okay and sometimes you’re fighting a little bit. He has high expectations and why shouldn’t he, he runs one of the greatest airlines in the world,” said Bentrott. Qatar Airways, one of the 787’s major buyers, was forced to scale down expansion plans because of the grounding of all 787s in January this year. “I wanted to launch 15 routes this year, now I can only launch 10. I am very unhappy,” Al Baker said in May. While Bentrott acknowledged the issue, he stressed that it had been resolved. 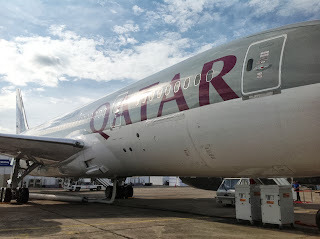 Bentrott would not comment whether Boeing compensated Qatar Airways following the grounding, after Al Baker said he would demand remuneration. The relationship also showed signs of healing again at the Paris Air Show this year, where Al Baker announced a commitment for more Boeing planes. 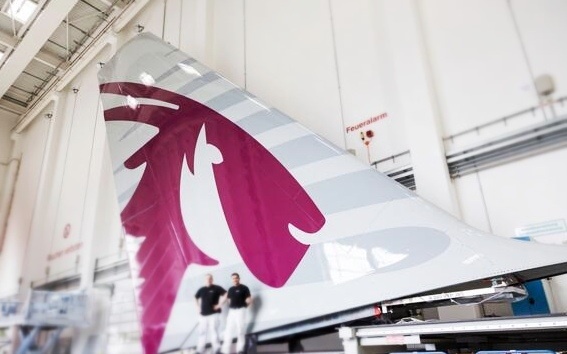 “Qatar is one of the strongest growing airlines in the region and with the development of the new airport in Doha, there’s going to be a lot of aircraft both delivered to Qatar Airways and sold in the future to Qatar Airways,” Bentrott said. Based on the article “Boeing, Qatar Airways Are In A Kind Of “Marriage” – Senior Exec” published in Golf Business. 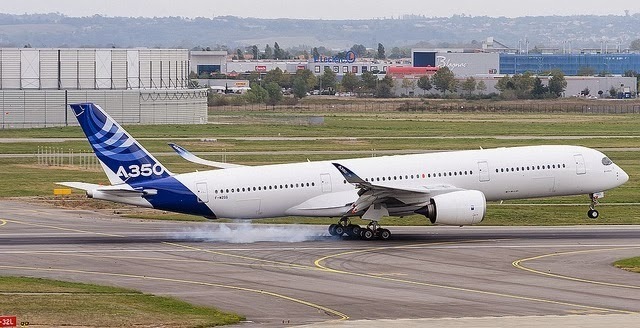 The 4th A350 flight-prototype MSN4 will be painted on the Qatar livery. Airbus has internally informed that the MSN4 prototype will be painted in the forward fuselage with Qatar Airways livery. It is not the first time with a launch customer logo in a prototype but some people inside Airbus does not agree with that. In a letter to the local newspaper "La Depeche", an Airbus employee denounces «the stranglehold of the Qatar» and «the power of money» of this airline. 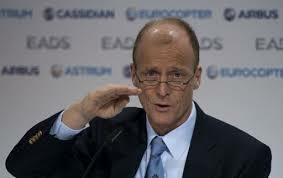 And he has sent the Airbus internal & confidential memo –dated on 2/October- to the newspaper. 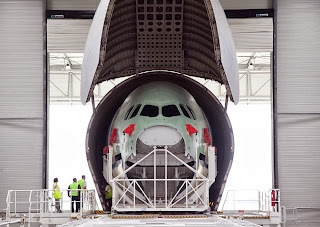 With the A380 flight tests, the logo of Emirates was painted on the belly fairing of the superjumbo in one prototype. Dubai based airline ordered 90 aircraft of A380. The MSN4 will be painted early 2014 in Toulouse and will be used "to make the promotion of the new aircraft before its first delivery expected in the second part of next year". Here is one proposal from JKKW posted in doubledecker forum. Airbus factory in Broughton, where the A350 wings are assembled, has an order book of equivalent to around 7 years’ production. 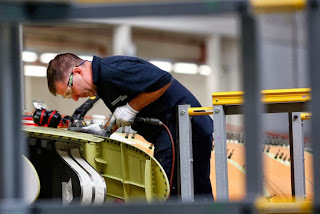 Airbus in Broughton is responsible for assembling wings for the entire family of Airbus commercial aircraft which includes the A320 Family, A330 Family, A380 and the A350 XWB. 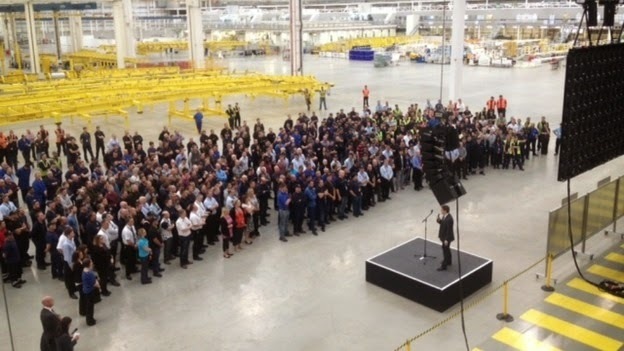 With 6,300 employees across its 700 acre site, you could be forgiven for expecting Airbus in Broughton to be an impersonal place to work. One aspect that really comes across when visiting the site though is the sense of family felt by workers here. Walking around the plant there is a huge sense of pride, enthusiasm and teamwork emitting from the staff, all of whom are managed by Paul McKinlay, head of Airbus in Broughton. He has been in his current role at the site, which is situated in a Flintshire village near Chester, for 3 years this month but has been working at the factory for 23 years. Speaking of developments at Airbus in Broughton over that time, he said: “It’s a tremendous success story. “We’ve invested £1.8bn here over the last 10 years on the back of tremendous product performance and great success in the market place. Recent expansions amount to £42m over the last 18 months and include a new north entry to the site, an extension to the Long Range Equipping building ahead of a production ramp-up for the A350 and a new station for the aircraft part carrier Beluga plane to allow its cargo doors to be opened in strong winds. McKinlay began his career at Airbus in Broughton working at the factory during his summer holidays whilst studying for a chemistry degree from the then UMIST (the University of Manchester Institute of Science of Technology). The father-of-two, who also has a stepson working at the factory, sees openness as key to his management philosophy. Speaking about the challenge of attracting young people to pursue manufacturing as a profession, McKinlay said: “I think the culture is changing but it’s an ongoing problem throughout manufacturing in the UK. “It’s about encouraging both males and females that manufacturing apprenticeships are as good if not better than going to university and that it’s a viable alternative.“It’s not a gender but a cultural issue in the UK. Currently staff at Airbus in Broughton are working on an order book of 5,190 aircraft, equivalent to around 7 years’ production. Based on the article “Big Interview: Paul McKinlay, head of the Airbus factory in Broughton” published in Liverpool daily post. ANA´s battle for 30 Boeing 777 aircraft replacement; A350-1000 against the 777X. It has become a "can't lose at any cost" deal for Boeing. Attention in Japan has now turned to Boeing's battle with Airbus to supply JAL's rival ANA Holdings . ANA's boss, Shinichiro Ito, said last month that his airline would consider possible delivery delay risks when choosing replacements for its older long-haul 777 jets. With the world's biggest fleet of Dreamliners and being the first airline to fly the innovative carbon composite plane, ANA has been most affected by delays. 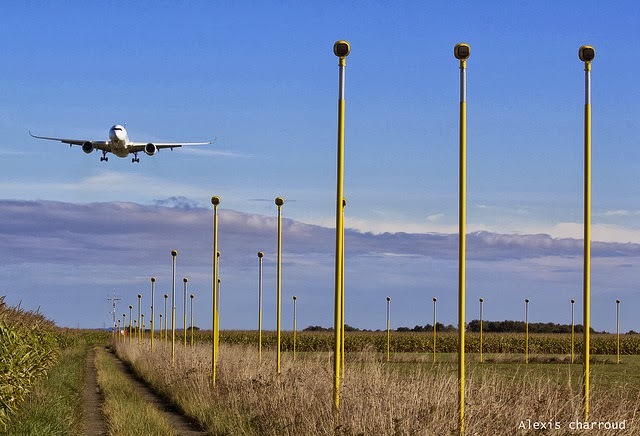 The aircraft's grounding this year has resulted in millions of dollars of losses. Boeing is widely seen as the favorite in that tussle, although some analysts think ANA will buy Airbus wide-body planes to hedge against delay and avoid getting left with older fleets while competitors fly new jets that consume less fuel. Like JAL, ANA is looking to buy around 25-30 jets to retire its aging long-haul 777s and is considering the A350-1000 and the 777X as replacements. A win for Boeing would offer a keen incentive for the U.S. company to stay deeply rooted in Japan, and industry sources expect a lobbying backlash as pressure from the aerospace industry's political backers comes to bear. And at ANA, political pressure may bear more fruit. In a reversal of roles, ANA now enjoys a closer relationship with the ruling Liberal Democratic Party, a position once enjoyed by flag carrier JAL before its bankruptcy and bailout in 2010. ANA this month won double the number of new landing slots at Tokyo's Haneda airport, prompting a rare public complaint by JAL that it had been unfairly treated. After the JAL setback, ANA is fast becoming a "can't lose at any cost" deal for Boeing, whose executives are under pressure to "do everything they can" to win the deal, said an industry source close to the U.S. planemaker. The United States' close diplomatic ties with Japan, a key U.S. ally in East Asia, could help Boeing's cause, according to industry sources. But some analysts think ANA will buy Airbus wide-body planes to hedge against delay and avoid getting left with older fleets while competitors fly new jets that consume less fuel. The Airbus A350 is due to enter service in 2015, while Boeing's competing 777X is not expected before 2020. 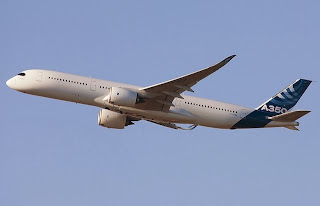 "For ANA, relying on Boeing for 777-Xs means running the risk that JAL, their direct competitor, will get their A350s as 777 replacements years before ANA does," wrote Richard Aboulafia, analyst at Teal Group in Fairfax, Virginia. "Therefore, an ANA A350 order is likely." But despite last week's victory, Airbus is widely seen as the underdog in the tussle for ANA's business, industry experts say. "The good thing in Japan is that when they commit to a time, they tend to stick to that," said a second industry source, who added that it was going to be a "very busy end of the year and a very busy start to the new year" for both companies. Workshare for 777X which Japan wants is between the 35% of the 787 and the 21% of the 777. 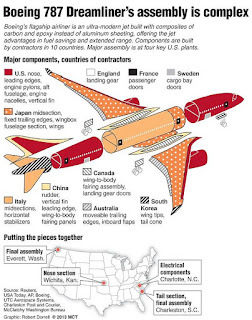 But the 777X will be less Japanese. For 50 years Boeing has awarded bigger and bigger shares of its supply contracts to Japanese firms, but that could change after Japan Airlines' shock defection to Airbus and as Boeing seeks to win orders in China. Boeing's 787 is 35% made in Japan - as big a share as it builds in-house - but Japanese aviation insiders fear the Dreamliner could be the high water mark of the industry's partnership with the U.S. company. 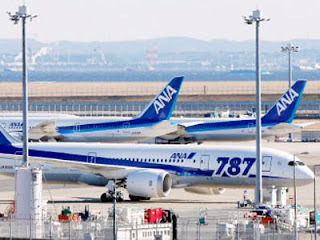 The close co-operation has not only benefitted Japan's industrial giants Mitsubishi Heavy Industries , Kawasaki Heavy Industries and Fuji Heavy Industries - it has also enabled Boeing to dominate one of the world's biggest aviation markets with a share of more than 80%. That status quo crumbled last week, when JAL signed a deal to buy 31 Airbus A350s, its first purchase of European jets. "Negotiations for the 777X work share are ongoing, and that may be influenced by the JAL decision," a government official who helps oversee Japan's aerospace industry told Reuters on condition of anonymity because of the sensitivity of the talks. 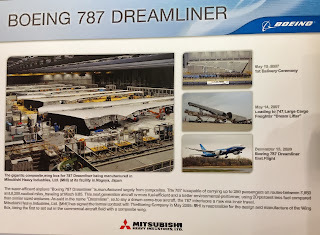 Tokyo, he added, was looking to win a work share for Japanese suppliers greater than the 21% that Mitsubishi Heavy, Kawasaki Heavy and others build of the current 777. The fear in Japan is that Boeing, which says the business it gives Japan adds up to 22,000 jobs accounting for around 40% of nation's aerospace workforce, may be tempted to shift more production to China, South Korea or elsewhere. 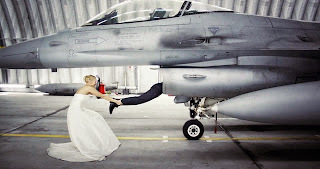 "If I was Boeing, I would hold their feet to the fire," said Lance Gatling, from aerospace consultancy Nexial Research. "International competition for what they build can only increase." China and South Korea could be the competitors. 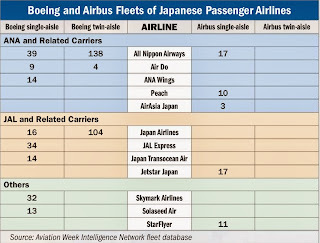 JAL's defection to Airbus stacks on top of other reasons why the Japanese may find it harder to win bigger chunks of business from their American partner. Boeing, having faced criticism it overextended itself on the delayed 787 with an ambitious global supply chain, has said it will take a more conventional approach to the 777X, a re-engine more fuel efficient upgrade of its long-range, wide-body 777. 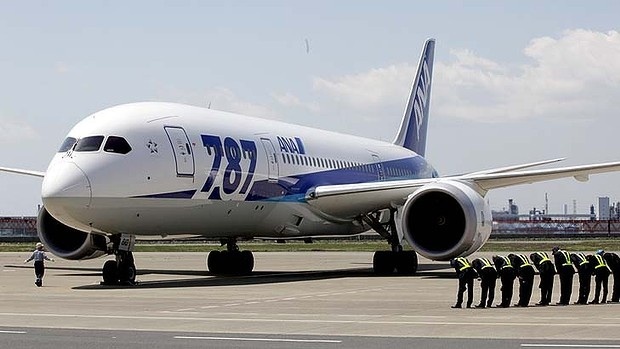 That, industry watchers say, could mean it builds the aircraft wings at home, after allowing the Dreamliner wings to be made overseas - in Japan - for the first time. A longer-term worry for the Japanese is that their country, once Asia's biggest aircraft market, is no longer the goldmine that first drew Boeing to seek panel suppliers for its 747 there. Both Boeing and Airbus are now more focused on vying for business in burgeoning China. The entry price often imposed by the Chinese government is a share of the build. Boeing, in its most recent 20-year market forecast that runs through 2032, predicts China will buy 6,000 new planes while the market in Northeast Asia, which includes Japan, North and South Korea and Taiwan, will be 1,360 aircraft. "If the Japanese could put the arm on Boeing the Chinese have got the ability to put the arm on Boeing," said Nexial Research's Gatling. 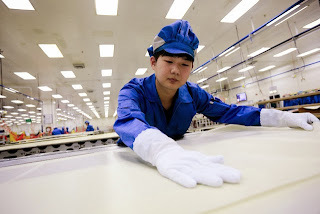 "The Chinese have cheap labor and a huge market." He added that the Japanese were also looking over their shoulders at upcoming South Korean firms such as Korean Aerospace Industries, which Boeing in 2011 named supplier of the year. One lure that could keep Boeing heavily involved in Japan is government financial support for R&D that could end up in its jets. According to the European Union, which is locked in an aircraft subsidy dispute with the United States, Boeing benefits from support from the Japanese government for development of the 787, including financing of up to 70% of development costs incurred by Japanese suppliers. 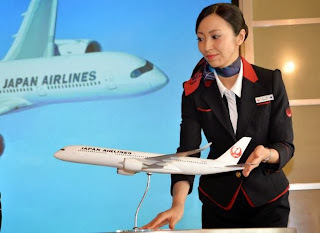 "Obviously JAL's decision is a setback, but Boeing has been investing in Japan for decades and is not going to suddenly say from now on we don't like you," said Adam Pilarski, senior VP at aviation consultancy Avitas, on the sidelines of an aviation finance conference in Barcelona. Reasons of the JAL order. 787 delays, problems on the EIS and reliability issues. And 777X not-yet-launched. 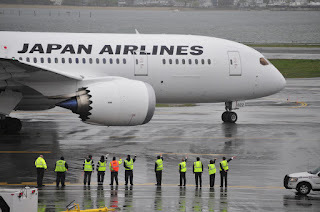 Order by JAL for 31 A350 aircraft represents a fissure in the interlocking arrangement that previously brought the Japanese government, major airlines and the Japanese heavy-industrial companies all together in supporting Boeing. 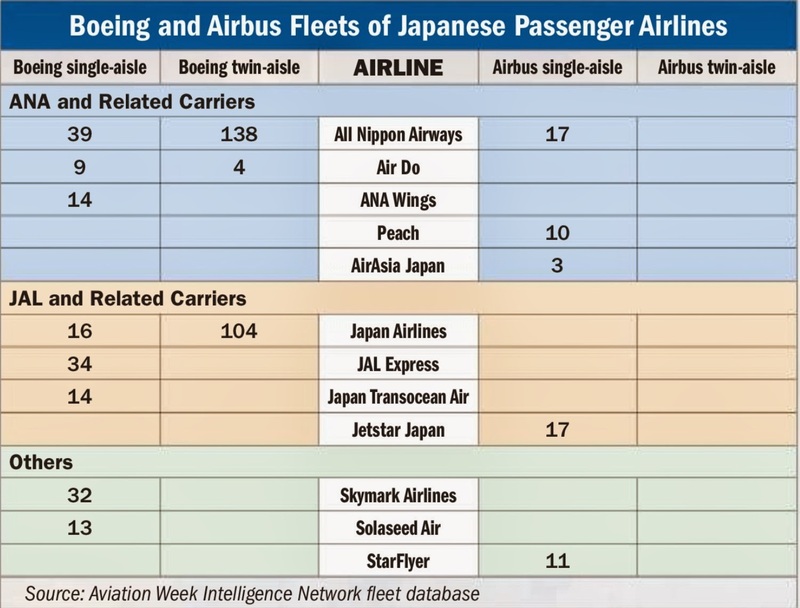 While JAL will likely stick with Boeing 787s for its midsize twin-aisle fleet, its needs for bigger aircraft that have 300-plus seats may now be covered by Airbus. The JAL defection follows a big win for Boeing last month when German flag carrier Lufthansa, the only major global carrier that had never ordered 777 passenger planes, committed to buy 34 Boeing 777-9Xs. However, in that case, it was a split order. Lufthansa also ordered 25 Airbus A350-900s at the same time. In JAL’s case, it was winner take all. Aboulafia said he still strongly believes Boeing’s offerings in the large widebody category — the 787 and 777X families — are clearly superior to Airbus’ single family of A350s . 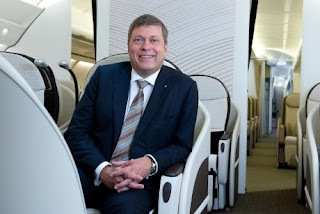 He sees the JAL order as a terrible missed opportunity, caused by Boeing leadership’s stop-and-go approach to launching the 777X, which has been talked about for a couple of years and is now expected to formally launch next month. Airbus previously won two key A350 orders from Cathay Pacific and IAG, parent company of British Airways and Iberia. Both were significant losses for Boeing. “How many times do you hit the snooze button on the alarm?” Aboulafia said of Boeing’s management. Shortly after the 787s were grounded due to problems with overheating batteries, the airline’s reliance on Boeing as a sole supplier was decried as “abnormal” by its former chairman, Kazuo Inamori. 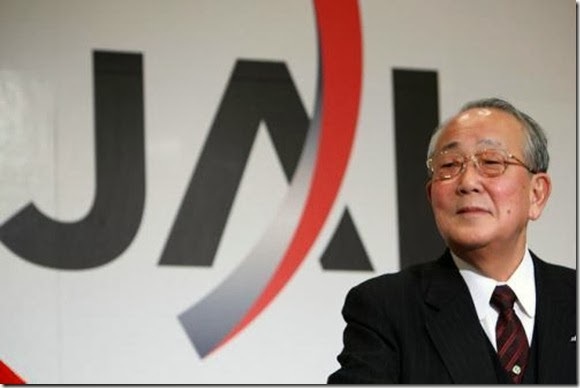 Inamori is a revered business leader who had founded Japanese electronics company Kyocera and was brought in by the Japanese government to rescue JAL from bankruptcy, which he accomplished 18 months ago. Inamori, who transformed the airline’s thinking about costs and turned it around financially in just 3 years, retired at the age of 81 in March. The airline’s first-ever Airbus order appears to be part of his legacy. 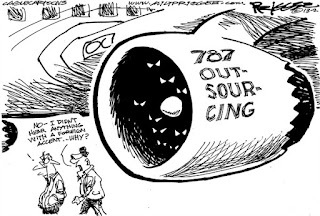 Another part of the reason for the defection may be JAL’s frustration with the 787 Dreamliner’s in-service problems. JAL operated the Dreamliner that caught fire on the ground in Boston in early January, prompting the worldwide grounding of the fleet. The airline resumed 787 flights in June, but since then has cataloged multiple reliability issues. 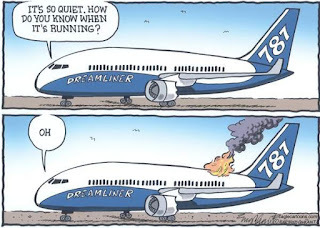 Boeing acknowledged it had paid a penalty for the mechanically troubled debut of its 787 Dreamliner. 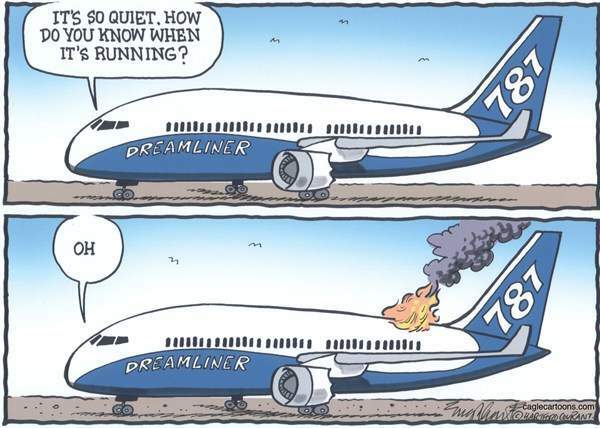 Delays to the 787 and its subsequent grounding after batteries overheated have, however, tarnished Boeing's image and cast doubt on its ability to deliver aircraft on time, industry experts said. JAL maintains a tally of technical incidents with the 787. Since June, five JAL Dreamliners turned back while in the air, nine were forced to return to the gate before takeoff due to technical issues, and in two cases other aircraft had to be substituted at the last minute. Technical problems on six other Dreamliners resulted in delays of more than two hours. 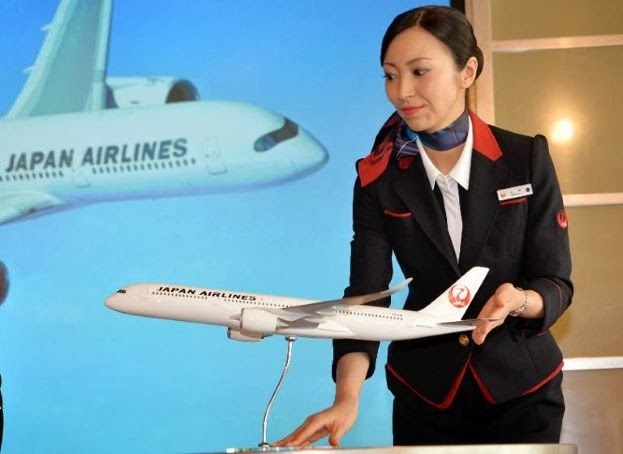 Analyst Hamilton said that litany of reliability issues may have weighed more heavily against Boeing in JAL’s boardroom than the grounding due to the batteries. 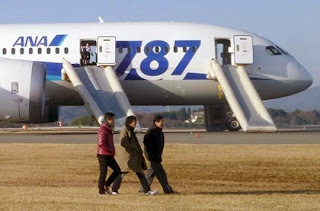 It’s possible that JAL executives decided, having suffered through these early Dreamliner glitches, that next time it didn’t want to be a launch customer for a new jet. In February, Inamori said JAL should have been more wary of all the new technology on the jet. 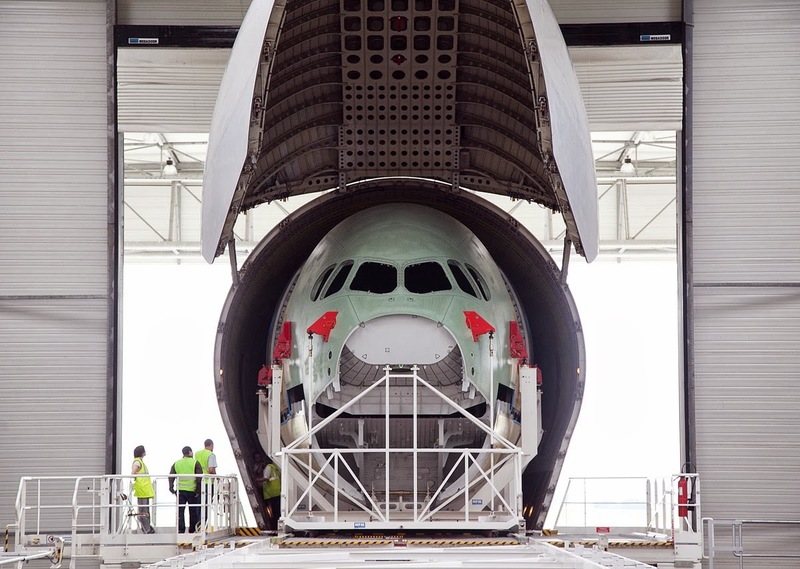 The A350-900 is due to enter service in 2015, and JAL won’t get its first one until 2019, providing time to iron out any wrinkles in the systems. The 777X is due to enter service as a new airplane in 2019 or 2020. Based on the article “Boeing’s lost JAL order to Airbus to have ripple effect” published in The Seattle Times. 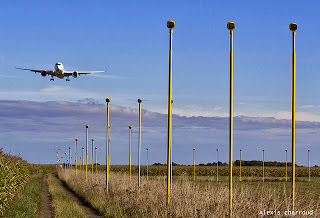 VMU first tests were done at Paris Vatry airport.